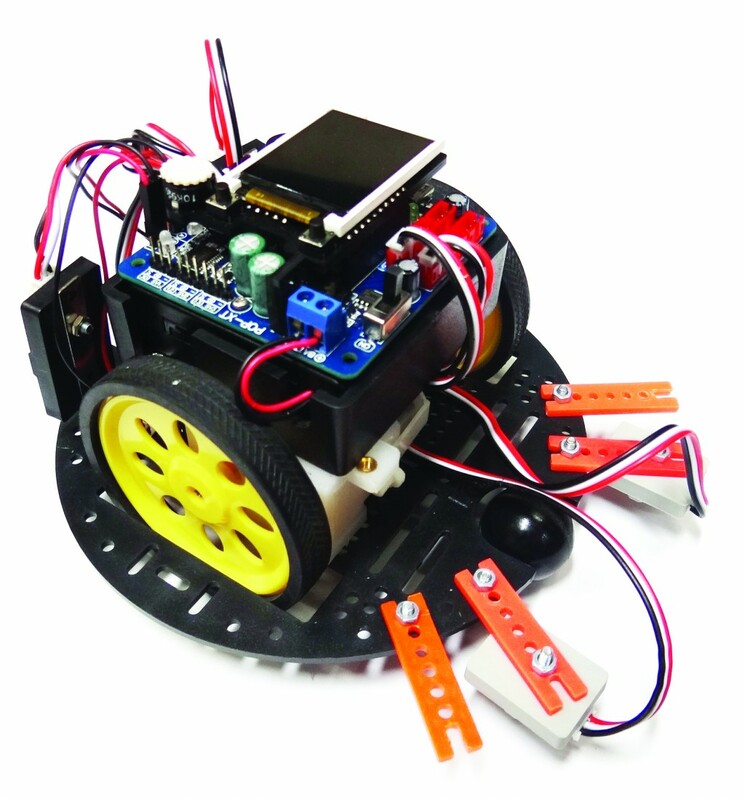 POP-BOT XT is an Arduino compatible, mobile robotic platform. 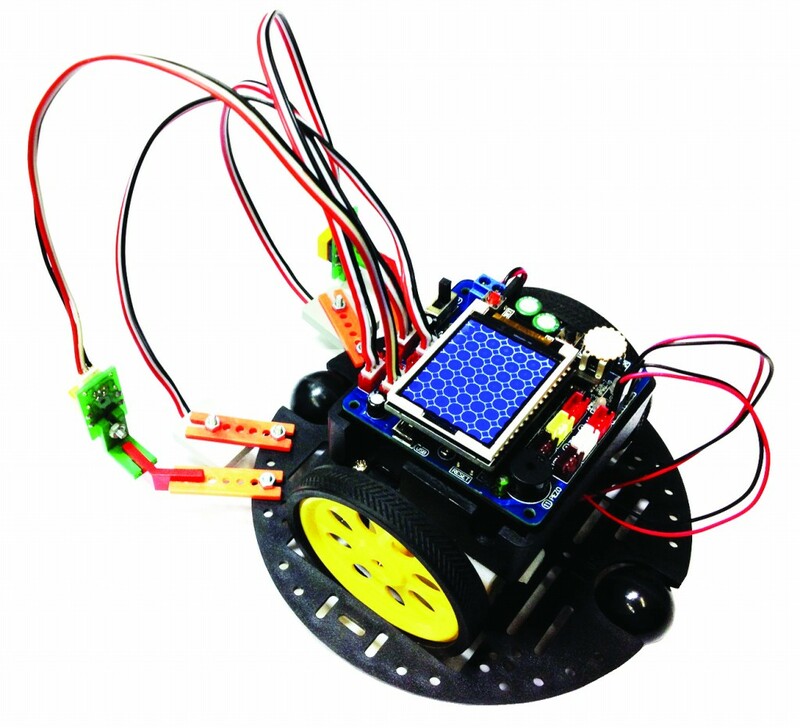 It comes complete with wheels, motors, sensors, software, documentation, etc. 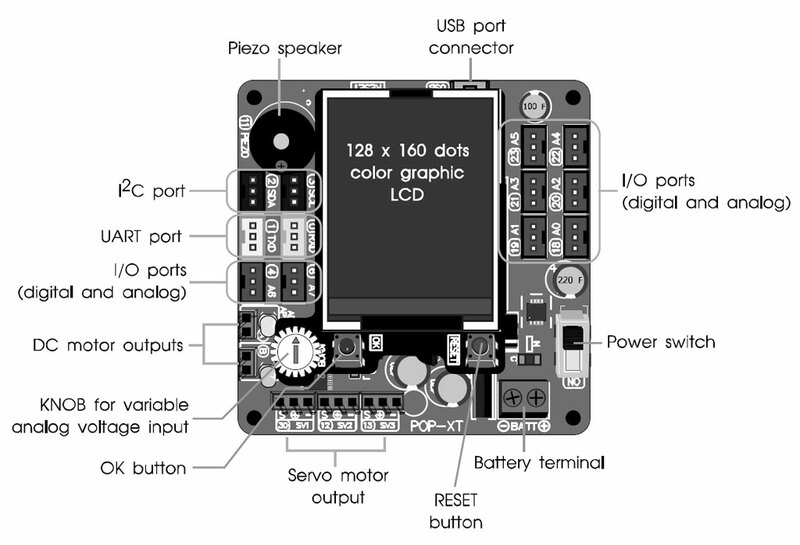 The POP-BOT XT controller board is preloaded with the Arduino Leonardo bootloader. The Arduino 1.0 or higher software is recommended. 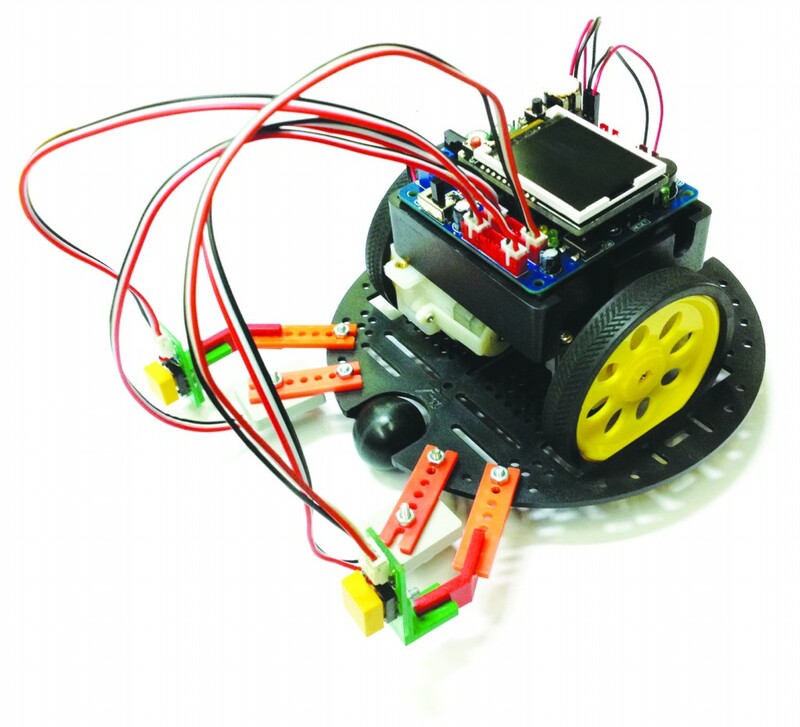 For students and teachers; this kit comes with a comprehensive set of activities and introducing sensors and microcontrollers using the well-popular Arduino platform. 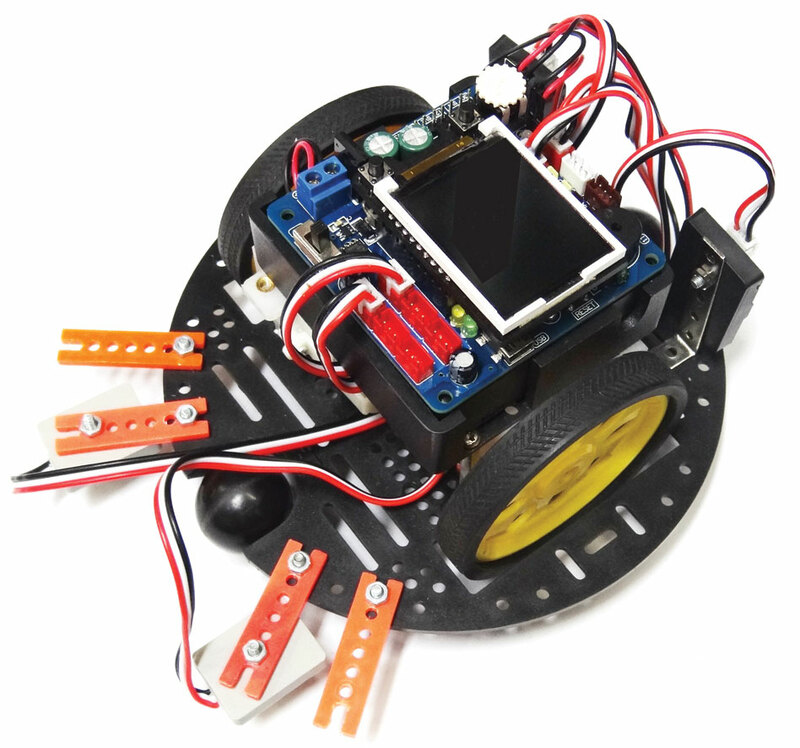 No soldering is required so the kit is perfectly safe for the classroom.